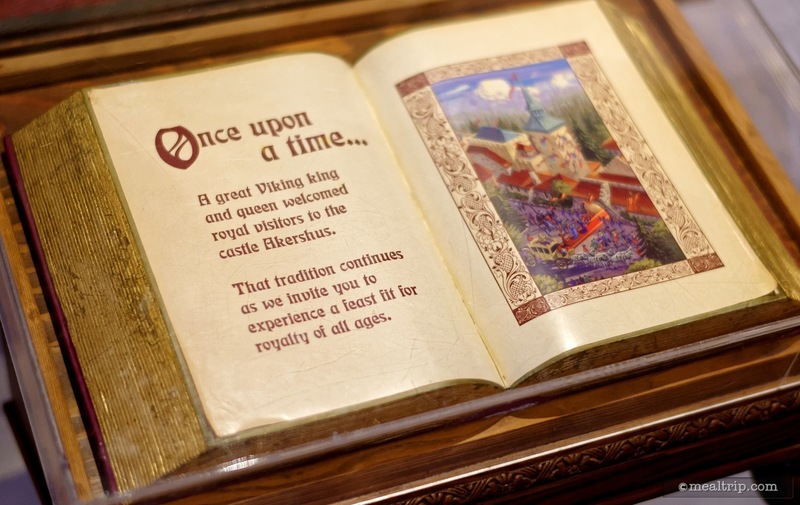 Featuring high archways and cathedral ceilings adorned with flags, the medieval castle setting of Akershus' Royal Banquet Hall provides a distinctive backdrop for meeting several of Disney's storybook princesses while you enjoy breakfast. 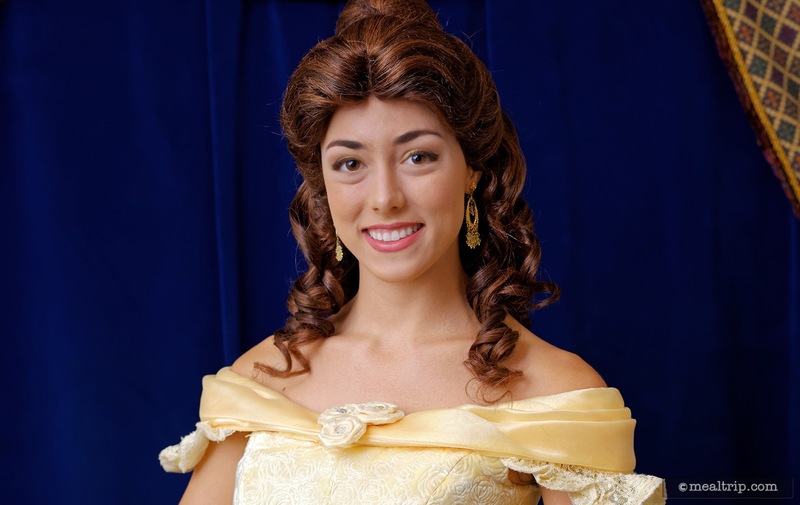 As you enter Akershus, a princess is on hand for a photo opportunity (usually Belle from Beauty and the Beast, but this may vary from day to day), along with a Photopass photographer to take the shot. They are more than happy to take a snapshot with your camera as well, so be sure to get the whole family in there. Previously, a complimentary photo had been delivered to your table during your breakfast, but that service is no longer offered. 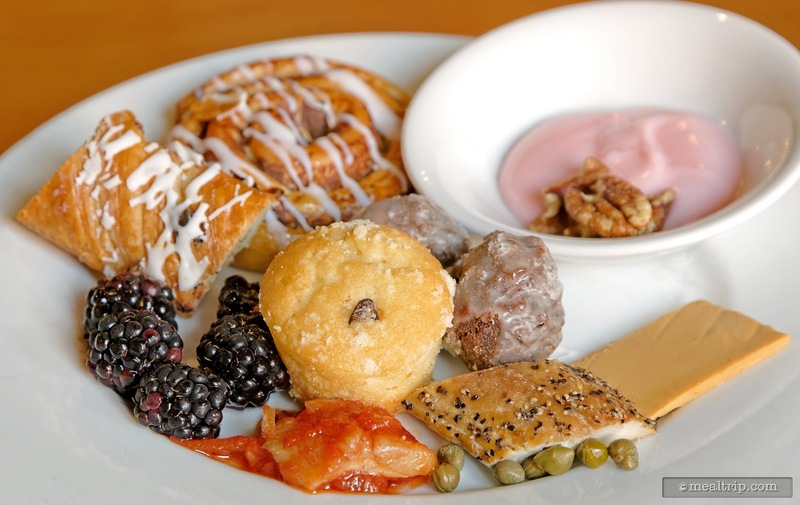 The breakfast offerings are very much traditional American fare, and served family-style, so picky eaters need not fear odd Norwegian dishes. 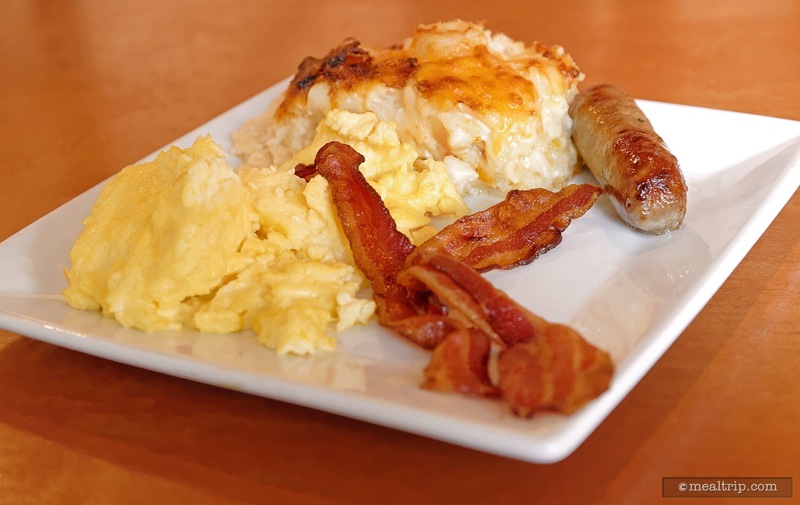 Selections vary but often include scrambled eggs, bacon, sausage, potato casserole, biscuits, cinnamon rolls and fresh fruits. 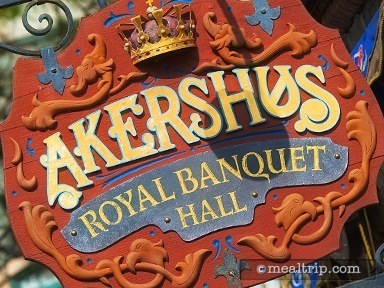 Breakfast at Epcot's Akershus Royal Banquet Hall in the Norway Pavilion is a "character" meal (in this case, princesses), and from a foodie standpoint, is one of the easier to understand meal periods at the popular restaurant. What I mean by that is... lunch and dinner seem to offer some combination of buffet items and made-to-order, a la carte items (that are not "all you care to eat") as part of the package. 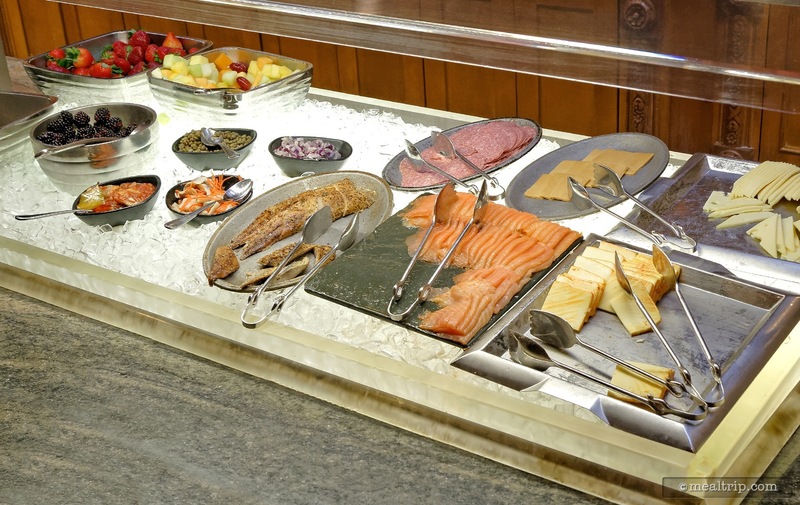 Breakfast however, is all buffet and the hot items that are delivered to your table are all family style (i.e. "all you care to eat"). This is awesome, because it limits the amount of thinking I have to do so early in the morning. Just eat, and if you want more of anything… you can have more, until you are full. This is one of those spots where a solo diner can feel a bit out of place though. Why you ask? Because well-dressed women in very colorful formal-ware seem to keep coming over to the table, and (with slightly stilted dialog), ask where my family is. Why... they're all sleeping actually… and I'm here for the infamous Potato Casserole and Lingonberry Muffins! Meeting and interacting with this parade of princesses is one of the main draws at Akershus though, and I have to say, not one of them slipped out of charter for a second, which can be fun... if you just go with it. For a family with little ones, meeting the princesses at breakfast can not only be a memorable experience, but a huge time-saver. 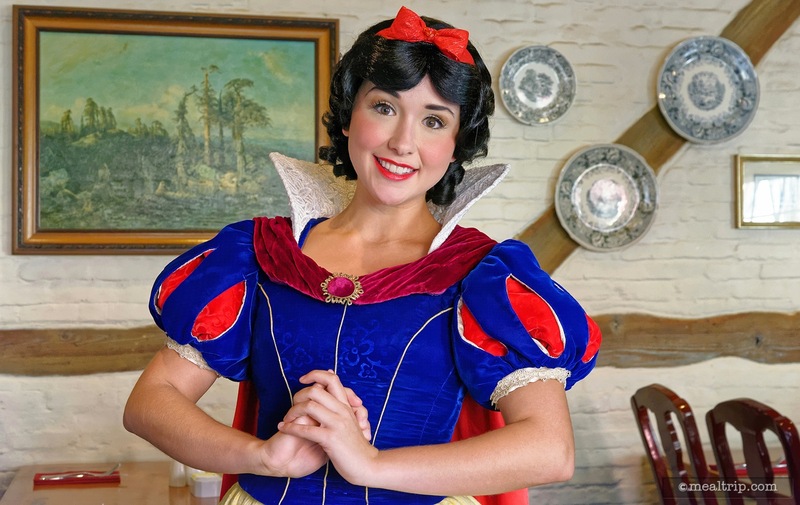 You'll get more one-on-one time with the likes of Belle, Ariel, Snow White, and Cinderella (in a slightly more casual morning gown) than standing in line for hours elsewhere in the park. 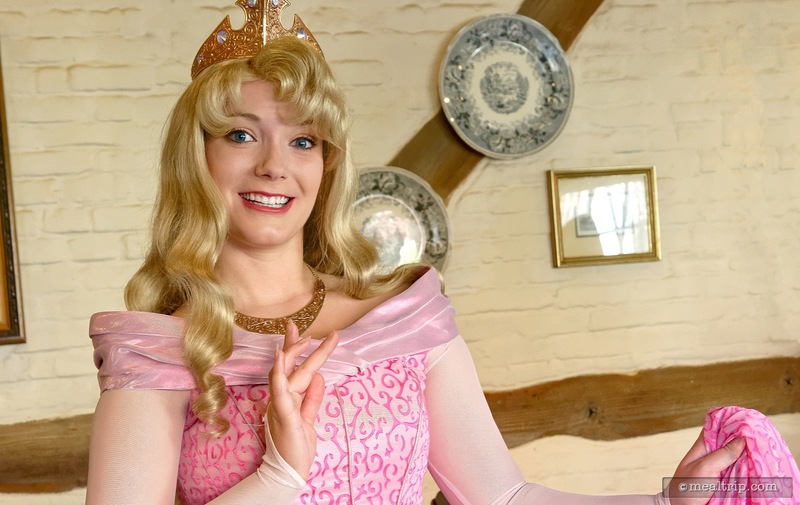 For those that have been to the restaurant in the not so distant past, you may remember there being a photo opportunity and commemorative photo with one of the princesses (usually Belle from Beauty and the Beast), before you sat down at your table. While Belle does still meet and welcome guests before you are shown to your table... gone are the days of the free photo package. Now, a Photopass photographer is on hand, and you are more than welcome to ask them to take a picture or two with your own camera… but commemorative (free) prints have disappeared at all of the character meals throughout the parks. Once seated in the somewhat traditionally styled cathedral-esqu medieval castle dining hall, you can place your beverage orders with your server (your basic, soda, juice tea, coffee and water and included in the per-person pricing system), you will have free roaming access to the buffet. 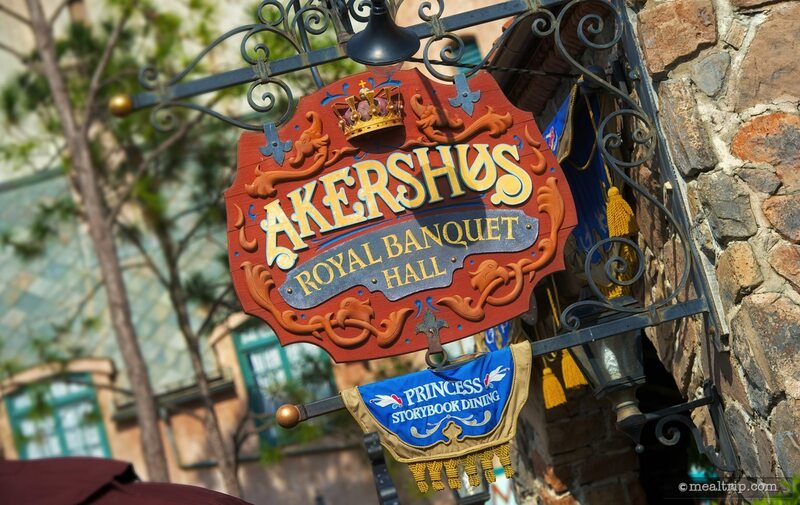 The Akershus buffet area is split down the middle with duplicate items on each side. As such, it's actually one of the smaller buffet type setups at a Disney restaurant. There are however, some very different things in the buffet, that you won't find elsewhere on property. The yogurt station with fresh fruit, nuts, granola and various toppings seems normal enough. 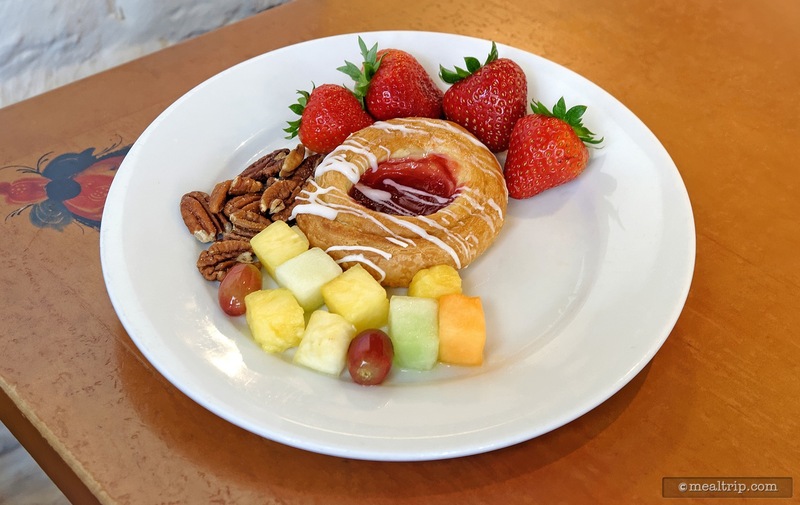 The yummy assortment of baked goods is very tempting and includes bagels with spreads, fruit danishes, cinnamon rolls, apple turnovers, and (usually) a Norwegian theme favorite, the Lingonberry Muffin. The berry is quite common in Scandinavian cuisine, and while quite tart on it's own, it seems to mix well with the sweet muffin mix. The Lingonberry Muffin which is totally worth a try if you haven't had one before. They're small, but most guests end up going back for more! Once you have had a chance to visit the buffet area, your server will bring over a hot plate of goodies, served family style. 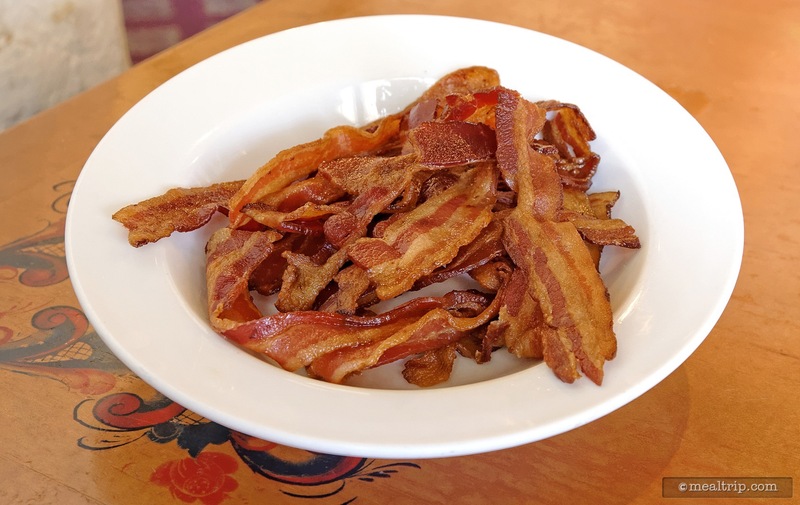 So there will be a big plate of scrambled eggs, bacon, sausage, and potato casserole placed on the table, and you will be given smaller plates, to collect portions of what you want to try. 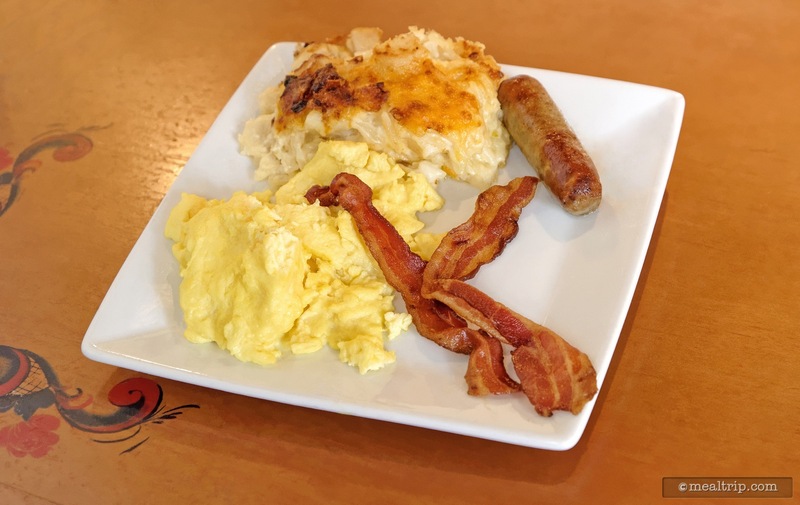 All of the items on the large hot plate are "all you care to eat", so if you want more bacon or potatoes, just ask! They will keep bringing out these four items until you are full, and don't forget, you still have access to the buffet as well! Most of the items on the hot plate are pretty common breakfast fare. It's all great food, but there's nothing about the scrambled eggs (for example) that are going to make them stand out from the crowd. The one item on the plate that has made quite a name for itself is the Akershus Potato Casserole. They're gorgeous in photos, delicious when you eat them, and will probably be the reason you'll say to yourself "I can't eat another bite". They follow a simple formula… diced and shredded potatoes, plus tons of heavy cream and sour cream, along with Cheddar and Jarlsberg cheeses, with pepper and onions added in the mix… you just can't stop eating them. They're that good. The breakfast at Akershus is not economical. It's a great deal if you're using a Disney dining credit, but a bit pricey if you're paying out of pocket. 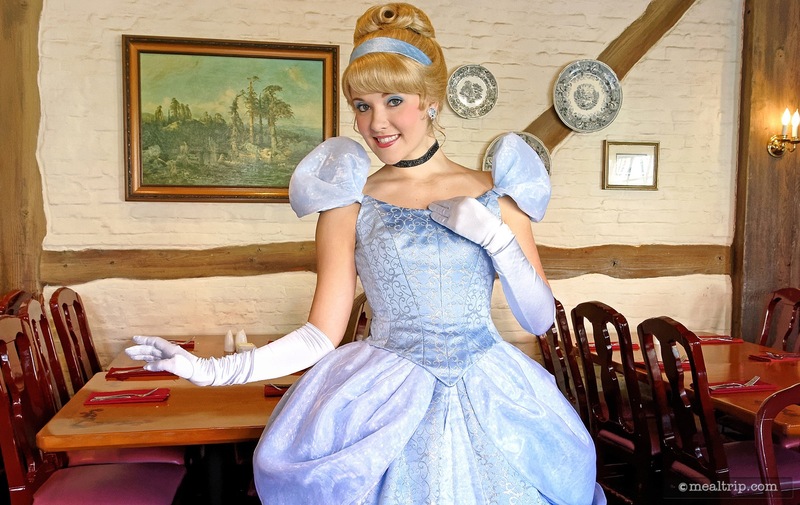 Most character buffets are more expensive than other a la carte options, but that's because you're getting one-on-one time with the princesses and a great breakfast. 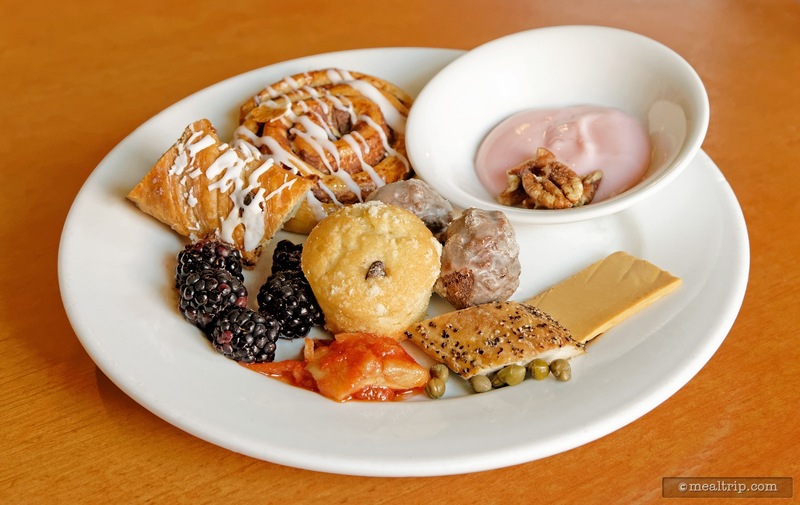 From a foodie-only point of view, while there are a couple of outstanding dishes here, there is just not the variety or uniqueness that some of the other breakfast buffets offer. 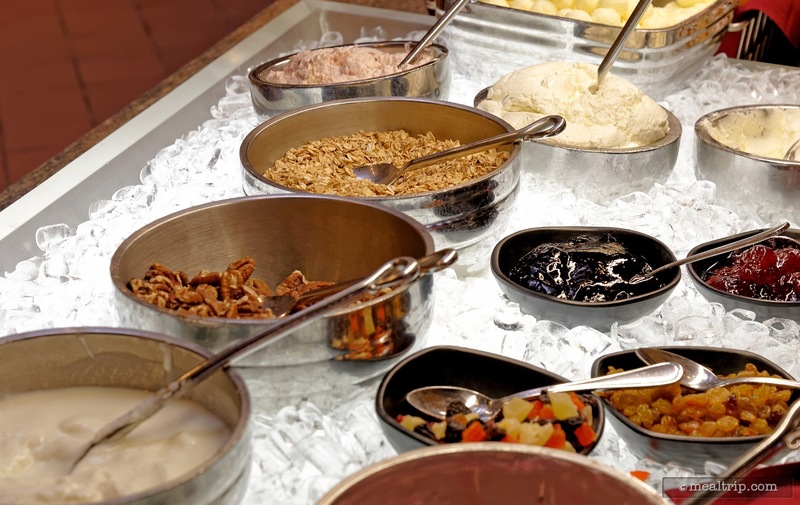 With amazing options like the Crystal Palace, Tusker House, or even the breakfast buffet at the Wave in the Contemporary, the breakfast at Akershus languishes at the bottom of the list. No offense to Norwegian cuisine, but it just may be that it's not well suited to westernized breakfasts. Unique, yes… but I'm not sure I'm going to find a Tomato Herring with Gjetost Goat Cheese McMuffin at McDonalds anytime soon. If you have little ones that want to meet and greet the princesses though, this is a great option. The pace inside Akershus is fairly relaxed, definitely family oriented, and the in-character princesses are spot-on great. Also great, are the authentic, right from Norway, servers and hosts inside the restaurant. It's easy to forget that these (usually college aged cast members) are work-visiting America for a year, because they seem to pick up on English quite quickly. If you get a chance though, ask your server about where they're from, or even just what the weather in Norway is like right now. It's a really interesting country, and you are sure to pick up some small fact or interesting conversation piece along the way.